Providing an opportunity for patients to start on insulin pump therapy with continuous glucose monitoring (CGM), or for those who wish to refresh their knowledge and/or adjust their treatment. Insulin pump therapy is for people with type 1 or type 2 diabetes who need insulin. 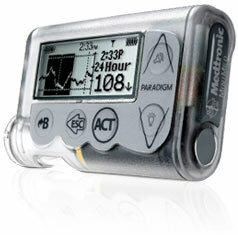 Insulin pump therapy provides the closest match to the way our body normally produces insulin. The Insulin Pump Program is the only one in The Bahamas. It is supported by the entire DEN healthcare team and in collaboration with Medtronic. Is insulin pump therapy for you? DEN offers individual appointments for anyone who is interested in finding out more about the insulin pump, and those who are ready to start pump and continuous glucose monitoring therapy.